With eight of the world's 14 peaks over (8000m), Nepal has been the focus of some of the most outstanding achievements in the world of high altitude mountaineering. (Those outside Nepal are K2 (8611m), Nanga Parbat (8125m) Gasherbrum I (8068m), Gasherbrum II (8035m) and Broad Peak (8047m) in Pakistan, and Shisha Pangma (8013m) in Tibet). It has a convergence of 1310 magnificent peaks over 6,000 metres. Nepal has become famous through out the world due to these mountains. The Nepal Himalaya is in the centre of the Himalayan range and the dauntless icy peaks have posed as challenge to those who dare for many decades. There are some 326 peaks in Nepal open for mountaineering today. The Government of Nepal has opened around 175 peaks in the last two years to mark the Mount Everest Golden Jubilee Celebrations. Expedition is similar to challenging treks, however, includes basic mountaineering above the snow line using ice axe, crampons ropes and necessary climbing gears under the supervision and instruction from the climbing leader/guide. People wanting to do this type of expedition needs psychological and physical stamina plus prior experience is certainly an advantage, but not essential. Please write us of your requirements and we shall forward to you more detail with approximately cost. Please find the following mountain Expeditions different which is we are operating in Nepal. Please find the following mountain Expeditions different which is we are operating in Nepal. Mt. Tripura Hinchuli Expeditions (Mountaineering - Climbing) Nepal Himal, Mt. Tilicho Peak Expeditions (Mountaineering - Climbing) Nepal Mountain, Mt. Teng Khangpoche Expeditions (Mountaineering - Climbing) Nepal Himal, Mt. Thamserku Expeditions (Mountaineering - Climbing) Nepal Mountain, Mt. Tawoche Expeditions (Mountaineering - Climbing) Nepal Himal, Mt. Sita Chuchura Expeditions (Mountaineering - Climbing) Nepal Mountain, Mt. Putha Hiuchuli Expeditions (Mountaineering - Climbing) Nepal Himal, Mt. Pumori Expeditions (Mountaineering - Climbing) Nepal Mountain, Mt. Peak 38 Expeditions s (Mountaineering - Climbing) Nepal Himal, Mt. Pasang Lhamu Chuli Expeditions (Mountaineering) Nepal Mountain, Mt. Nuptse Expeditions (Mountaineering - Climbing) Nepal Himal, Mt. Langtang Lirung Expeditions (Mountaineering - Climbing) Nepal Mountain, Mt. Kumbhakarna (Jannu) Expeditions (Climbing) Nepal Himal, Mt. Kirat Chuli Expeditions (Mountaineering - Climbing) Nepal Mountain, Mt. Kanjiroba Expeditions (Mountaineering - Climbing) Nepal Himal, Mt. Kangtega Expeditions (Mountaineering - Climbing) Nepal Mountain, Mt. Kang Guru Expeditions (Mountaineering - Climbing) Nepal Himal, Mt. Himlung Expeditions (Mountaineering - Climbing) Nepal Mountain, Mt. Ganesh Himal Expeditions (Mountaineering - Climbing) Nepal Himal, Mt. Dorje Lakpa Expeditions (Mountaineering - Climbing) Nepal Mountain, Mt. Dhaulagiri Expeditions (Mountaineering - Climbing) Nepal Himal, Mt. Churen Himal Expeditions (Mountaineering - Climbing) Nepal Mountain, Mt. Cholatse Expeditions (Mountaineering - Climbing) Nepal Himal, Mt. Chamlang Expeditions (Mountaineering - Climbing) Nepal Mountain, Mt. Barunche Expeditions (Mountaineering - Climbing) Nepal Himal, Mt. Annapurna South Expeditions (Mountaineering - Climbing) Nepal Mountain, Mt. Annapurna Expeditions (Mountaineering - Climbing) Nepal Himal, Mt. Annapurna 4th Expeditions (Mountaineering - Climbing) Nepal Mountain, Mt. Ama Dablam Expeditions (Mountaineering - Climbing) Nepal Mountain, Mt. Singu Chuli (Fluted Peak) Expeditions (Mountaineering) Nepal Himal, Mt. Everest Expeditions (South Col) ? Nepal (Climbing) Nepal Mountain, Mt. 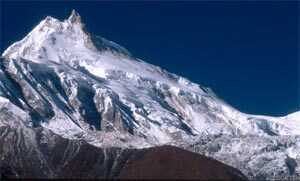 Manaslu Expeditions (Mountaineering - Climbing) Nepal Himal, Mt. Kangchendzomga Expeditions (Mountaineering - Climbing) Nepal Mountain, Mt. Makalu Expeditions (Mountaineering - Climbing) Nepal Himal, Mt. Lhotse Himal Expeditions (Mountaineering - Climbing) Nepal Mountain. For more details information about Nepal Mountain expedition and Nepal Mountain climbing itinerary please visit bellow readymade itinerary and if you are looking different itinerary please Contact Us. TAWOCHE & AMABLAM EXPEDITION - 6501M - 6812M.